Because we are a small business serving association and nonprofit clients, we are naturally inclined to believe in community-driven missions and attract employees with the same community-oriented mindset. In fact, it was one of our staff who first suggested we do a food drive. And so we did! In the 15 years since the inception of DelCor’s .org Community Food Drive, our flagship charity event has evolved—as have the needs of CAFB’s clients and partners. There have really been two major shifts. The online system made it easy. I had no idea each dollar could provide so many meals! I guess it makes sense though. I just gave money since the people who know how to make it stretch further are the experts and they can feed far more than my bag of groceries ever could. Our purchasing power is 5 to 7 times greater than the average consumer, meaning your money stretches further for our mission. Two cans of black beans will probably cost you a little over a dollar at your local supermarket, but our purchasing power turns $1 into 2.5 balanced nutritious meals! Additionally, a digital food drive requires less volunteer and staff time to sort and get food out to the community. Digital food drives are a win-win. Not only does the food bank stretch those dollars further, but they in fact get more dollars—meaning they can serve more meals to more people. As evidence, the first year we took our food drive digital (2011), it grew 68%! With that increase, CAFB was able to provide 18,600 more meals than the year before. And that’s important, because CAFB provides food to 540,000 people in Greater Washington, DC—that’s 12% of our population. 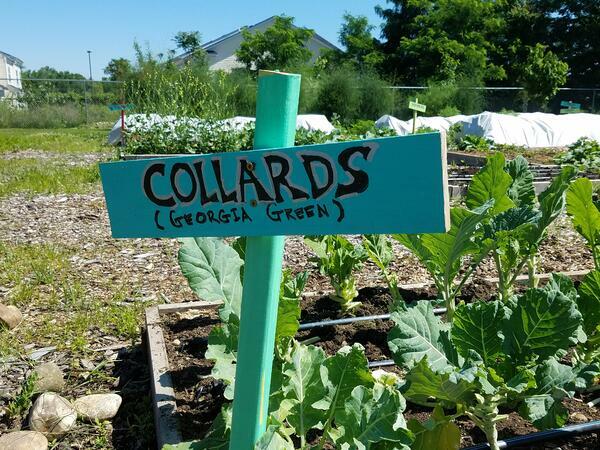 DelCor’s digital food drive now runs on CAFB’s custom crowdfunder platform, allowing organizations to see their respective impact, even as part of our community-wide effort. Teams and individuals can easily join and share the platform, set goals, and engage in a little friendly competition. 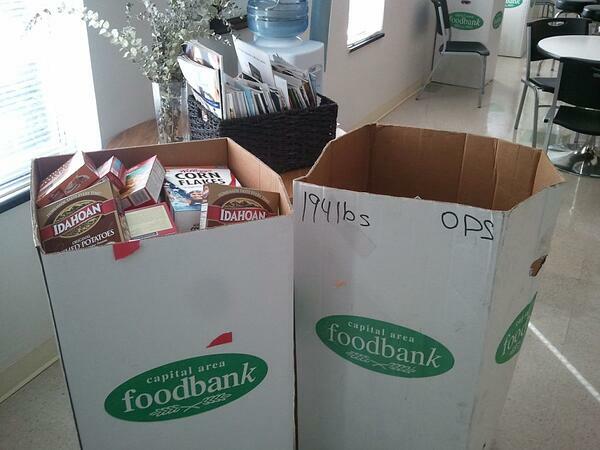 Over the years, we came to love those large food donation boxes—despite how heavy they are to pick up! We performed our share of manual labor, driving all around the beltway to pick up and deliver food donations to CAFB’s headquarters in northeast DC. That effort, while exhilarating and exhausting, took its toll: on the environment, on staff time, and on direct donations (we became pretty proficient at driving box trucks through spaces large and small, but we had to pay for gas and rental fees). CAFB CEO Nancy Roman declared in 2016, “We have a moral obligation to not just get food to people — but the right food.” The truth is that the food bank had been building up to this for years, increasing its capacity and distribution methods for fresh fruits and vegetables, dairy, and frozen goods. The declaration came at a critical time, when data showed that the typical food bank diet was a problem. Fully half of food recipients ('clients') have high blood pressure. 22% have a chronic diet-related illness like diabetes. Food insecurity causes stress, which can cause obesity. CAFB started mapping food insecurity, showing the greatest need is in impoverished communities and food deserts. Now, every food that flows through CAFB receives a wellness score, so partners and clients can make informed choices. For several years running, 1/3 of the food CAFB distributes has been fresh produce—stuff you won’t find in any carboard collection box, even items that might otherwise go to landfills. (Did you know food banks help reduce food waste?) 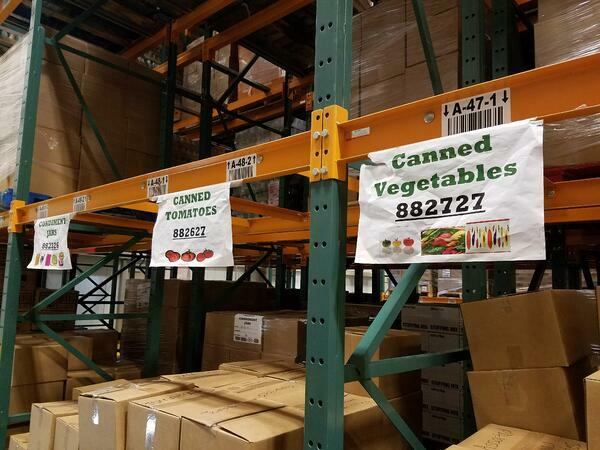 Digital food drive donations (along with strategic supplier and supermarket partnerships) directly impact the food bank’s ability to provide fresh produce. And have I mentioned their urban demonstration garden? Or that it’s organic? It’s a beautiful thing. By donating money—rather than items from your pantry or cheap dinners from your grocer—you're helping CAFB provide highly-valued, health-conscious food to those who otherwise don’t have easy access to it. Thank you for supporting DelCor’s 15th annual .org Community Food Drive for the Capital Area Food Bank! Not in the DC region? You can still give—no matter where you live! Or, support your local food bank. Want to do your own thing? Read our 10 steps to launching a digital food drive.